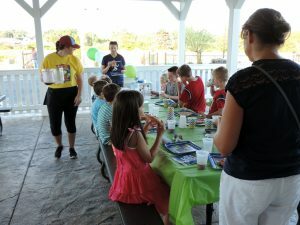 Snydersville Golf Range is a fun party venue that does all the work for you! Have your party at the outdoor pavilion next to our fenced in children’s play set. Mini golf is a great way for children to celebrate with the option to add on hitting range balls. We also offer Hershey’s ice cream cake, you can see the menu under the Café page. Prices are different depending on what you include in your party package. Call for a quote!